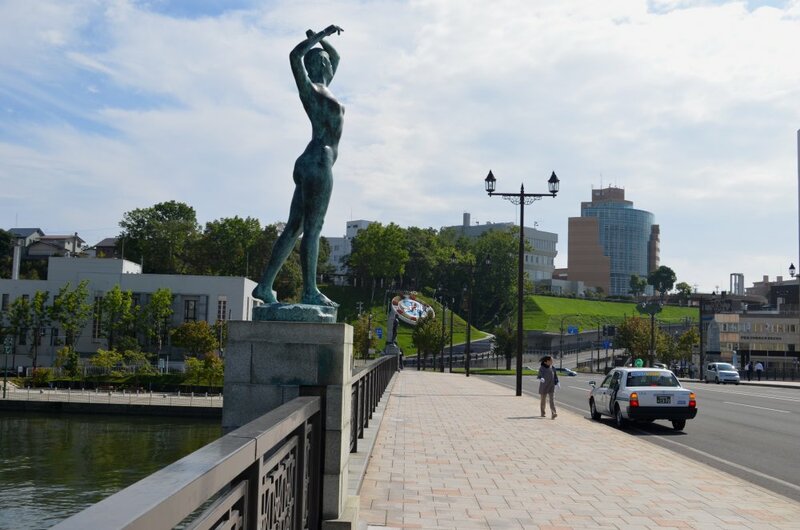 Overnight, Sun Princess sailed 193 nautical miles (or 222 land miles) from Muroran to Kushiro via the Chikiu and Erimo points, taking us to the opposite side of Hokkaido from our starting point on the west coast. Our arrival, originally scheduled for 7am, had been delayed by an hour due to fog, and indeed we were awoken much earlier than intended by a succession of long blasts from the ship's horn. 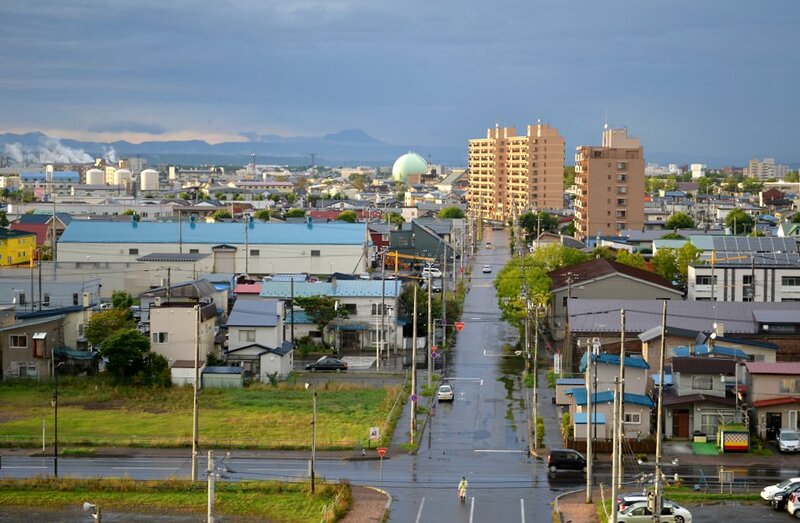 Apparently Kushiro is one of the foggiest places in Japan, due to the meeting of a warm ocean current with a cold one. In fact we learned that the name actually means "City of Mists". When I eventually got to the point of taking a photo from our balcony, all trace of the fog had disappeared and it was a pleasant, sunny morning. 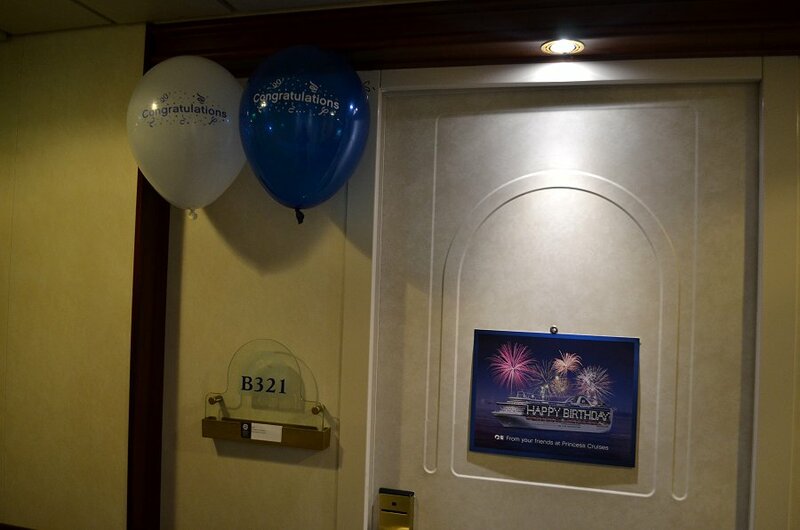 Another surprise awaited when we opened the door of our stateroom to go for breakfast: the cabin stewards had been busy, placing a poster and a couple of balloons by the door to mark the fact that it was Bruce's birthday. 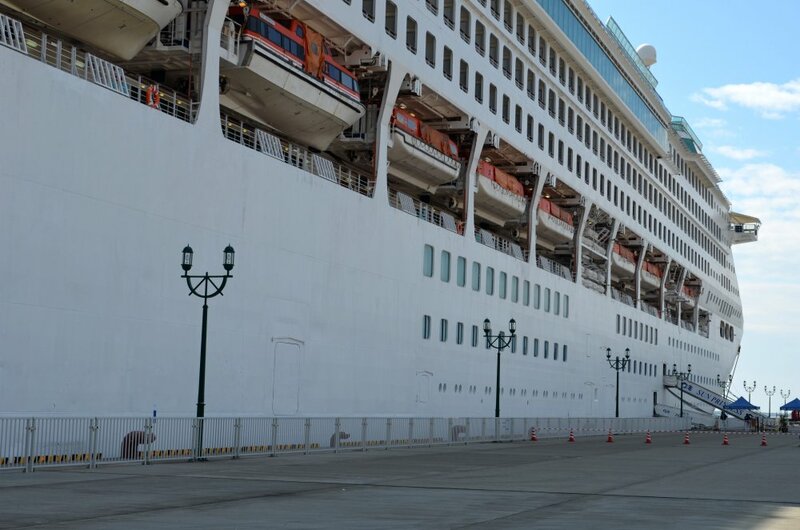 Nothing escapes these cruise people! As a change from recent practice, we decided to sample the main buffet breakfast in the Horizon Court restaurant. Sadly it proved to be a poor-quality and disappointing spread, and therefore not a choice to be repeated. 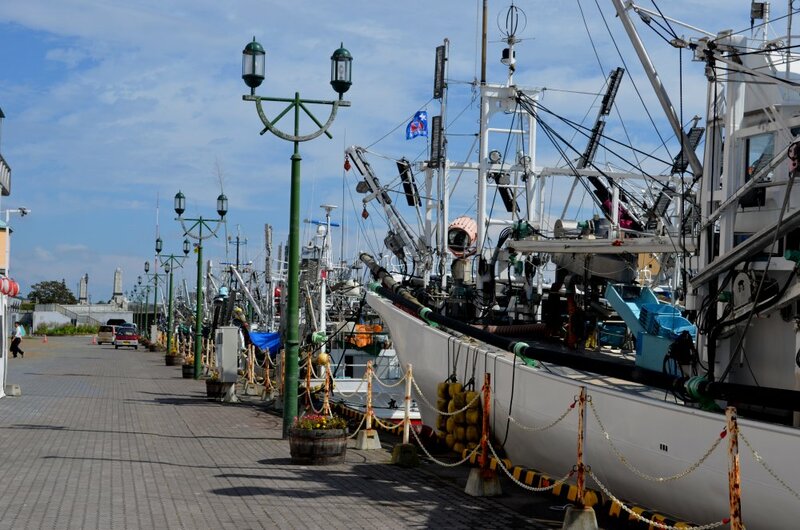 The main attraction of Kushiro seemed to be not so much the port itself, but rather a shore excursion to see red-crested cranes, known locally as Tancho-zuru. Since neither of us is particularly interested in birdlife, we had previously decided to sit out this side-trip in favour of a lazy day simply enjoying the ship's facilities. We therefore spent most of what remained of the morning lounging on the Riviera Deck close to the main pool, watching bits of Gentlemen Prefer Blondes on the giant video screen. I was amazed at the quality of the pictures, but have to confess that I fell into a light sleep at least once! At around 1130, a brief foray ashore seemed in order, if only to provide some variety. 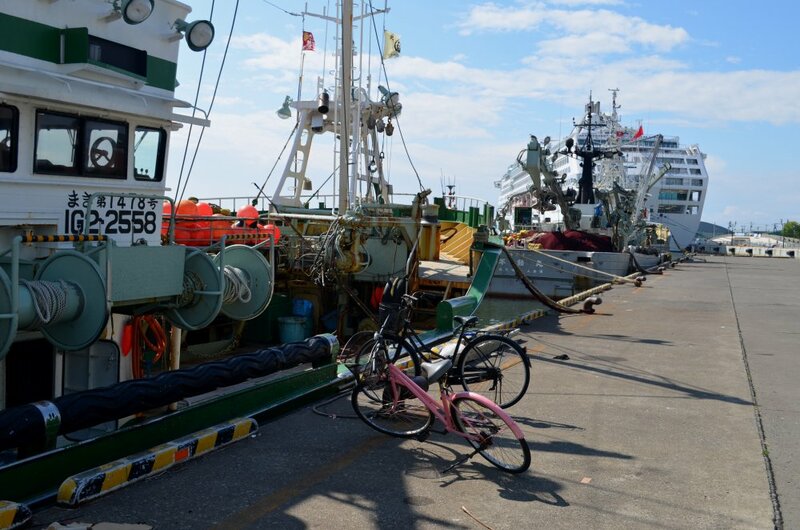 The original idea was that this might also be an opportunity to have lunch while ashore, although in the event this wasn't to be. 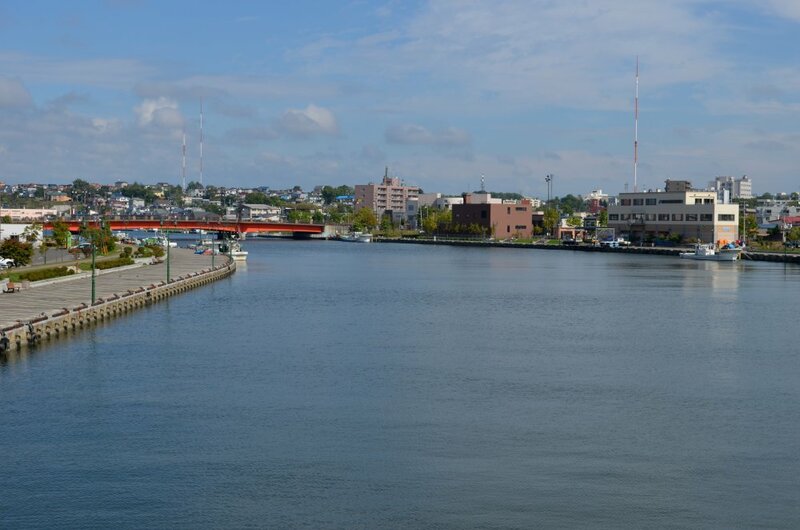 We strolled along the dockside for a bit, briefly crossing one of the bridges, but nothing of significant interest turned up. 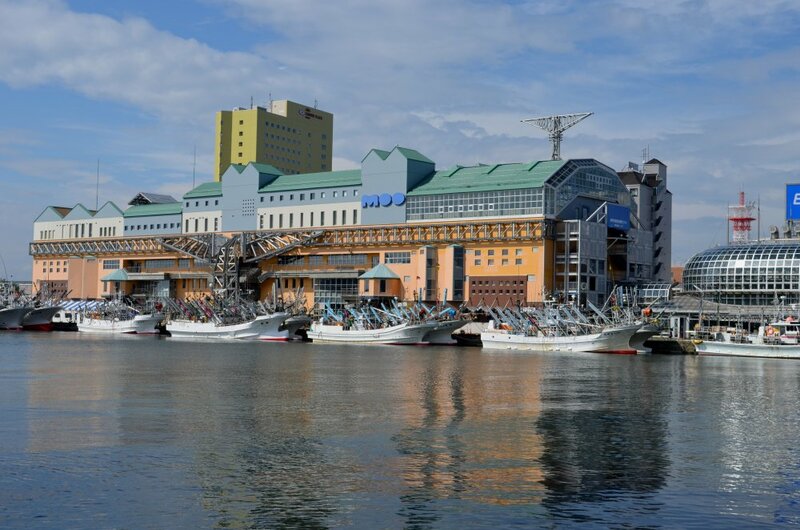 A walk through the dockside market / shopping mall similarly drew a blank, in terms of both a potential lunch spot or even a vaguely interesting shop to look around. 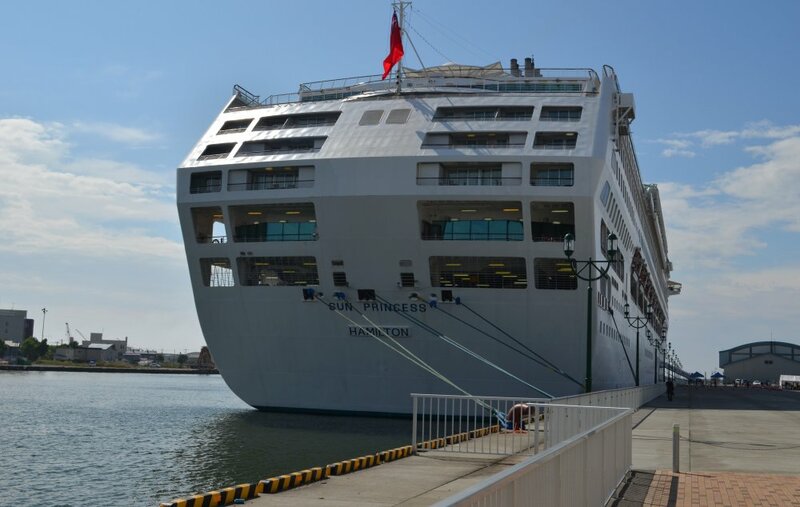 We decided to return to the Sun Princess, confirmed in our earlier view that this was a day on which to make the most of the ship itself. 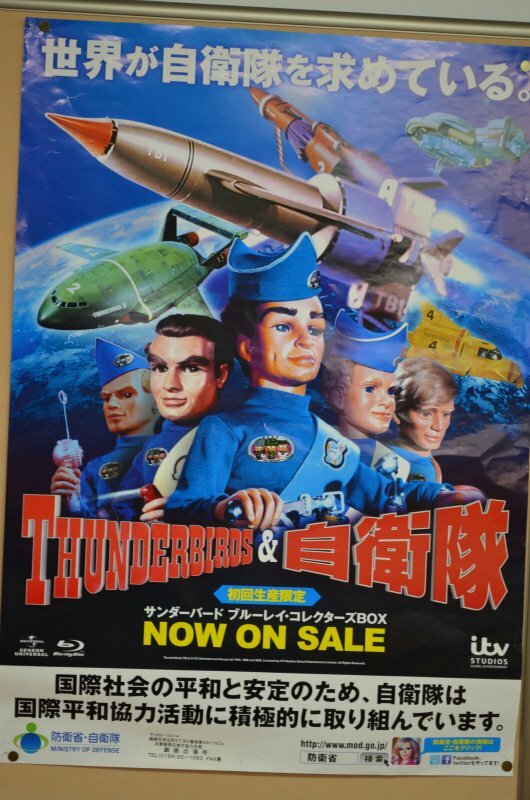 RIGHT: Thunderbird 2 to Thunderbird 1 ... Say, Scott, how did we wind up in Japan? Just wait until I see that Brains guy! Having abandoned the International Café for breakfast, we gave it our business at lunchtime. It seemed like a good choice after the combination of a heavier-than-usual breakfast and little physical activity during the morning. The relaxation theme continued in the afternoon, when we took the opportunity to enjoy another on-demand movie on one of the large-screen TVs in our mini-suite. 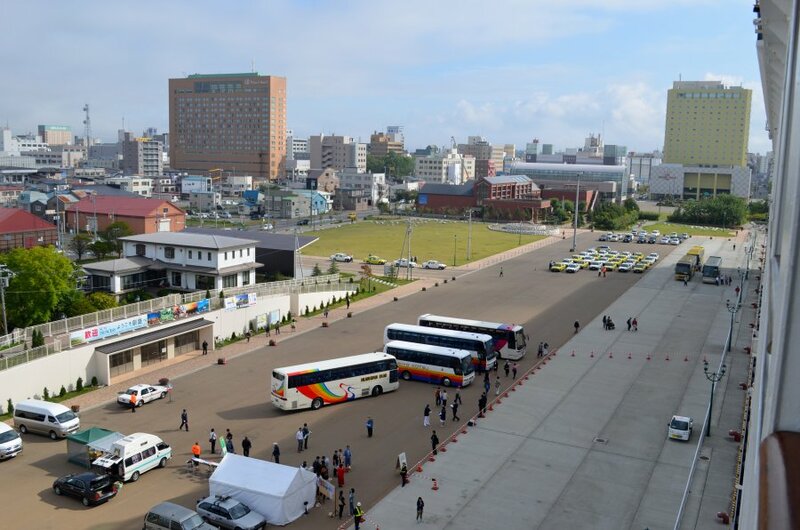 With the birdwatchers safely back on board, the ship's departure from Kushiro took place on schedule at 5:30pm and, in the gathering darkness, I watched the process through to the point where the local pilot was picked up on completion of his duties. During the evening, we spent some time in Crooner's Martini Bar, which was a good place that didn't deserve to be so empty. (Once again, we couldn't help thinking how demoralising it must be for staff to have so few passengers that were willing to spend money.) Our choice of dinner venue, again bearing in mind that this had been a day of considerable inactivity, was Verdi's Pizzeria. 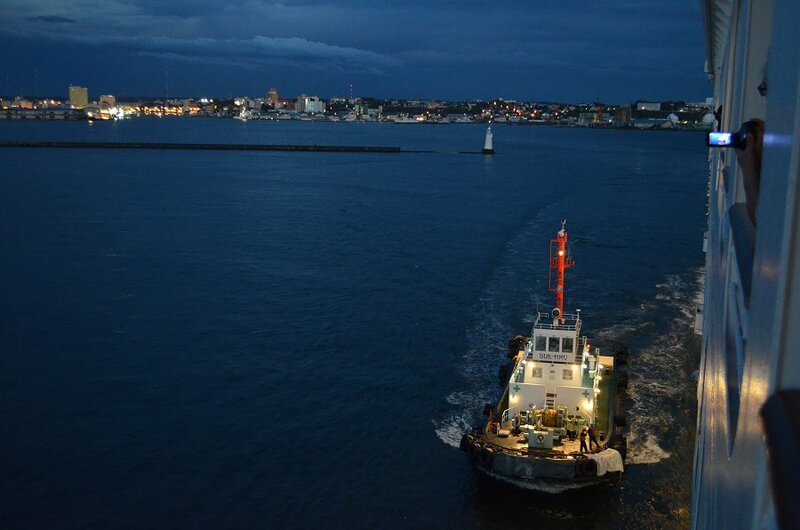 As had by now become our custom, we rounded the day off by doing a little tour of the various onboard night spots, to see what was going on.